British and French forces in the Mont des Cats-Cassel area, Second Army sector, Western Front, about 21 April 1918. 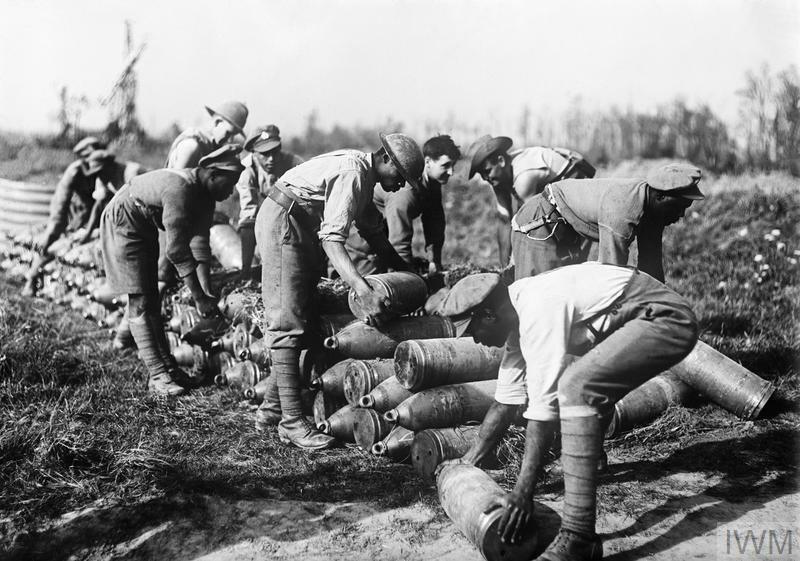 Soldiers, possibly 16th Battalion, King's Royal Rifle Corps, 33rd Division, in the later stages of digging a trench. Some of the men use long poles to fix barbed wire entanglements across a small stream. Three light railway trains carrying soldiers on flatcars pass along an embankment. 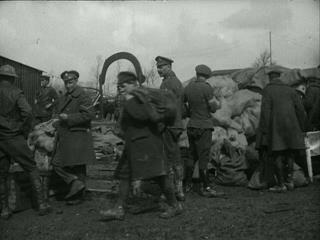 A company of troops, possibly Royal Irish Rifles, march in column through a damaged village. A damaged farm building marked "Cinema Nightly", used as a behind-the-lines cinema for troops until the German offensive. 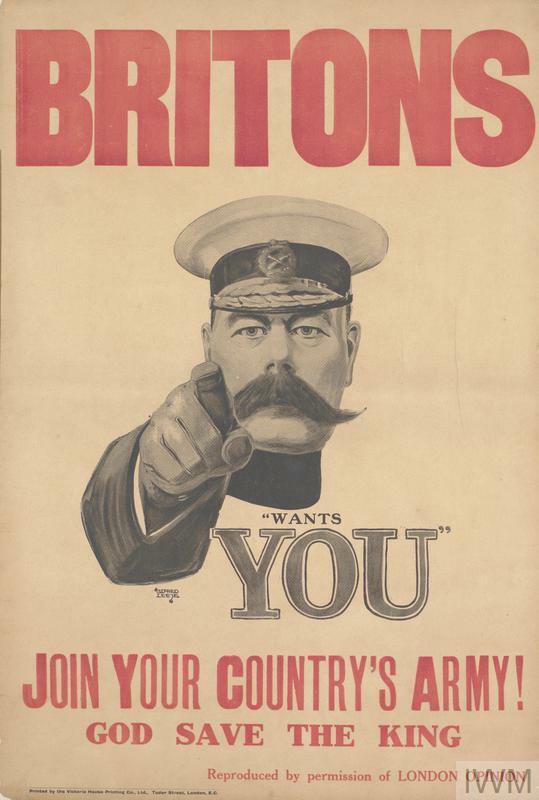 Prime Minister Clémenceau says farewell to the officers of the British 33rd Division and its commander Major-General Pinney at Cassel on 21 April, gets into his car and drives off. Two battalions of the same division, possibly 1st Battalion, the Middlesex Regiment 2nd Battalion, the Argyll and Sutherland Highlanders, march past Clémenceau's car. Nearer to Mont des Cats, British troops rest at the roadside by a village while French military wagons pass. 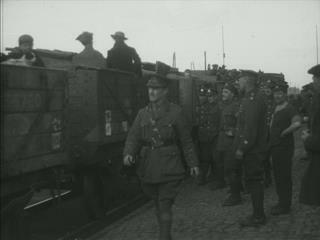 British soldiers marching parallel to a light railway track. French lancers trotting along a road. Other lancers leading their horses (note that in the French Army one mounted horseholder remains out of every three men). French Cavalry, possibly 2nd Light Cavalry Division, in marching column along a road.